or back to back, the waters between them. thought differently about the world. Aliza is a poet and playwright, graduate of the Iowa Writers' Workshop. She makes her living as an Astrologer and Tarot Reader in New York City. 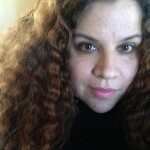 You can find her blogging daily at moonplutoastrology.com.